It’s been a little over two years since I started publishing my own material, and in that time I’ve sold just over 530 books. Total. With that in mind, I’ve secured the assistance of a publicist – someone who comes highly recommended from a friend in my writing community – who has agreed to help me sell my books for a percentage of the sales. This works much better than an upfront fee, because a) I don’t have any money to pay an upfront fee, and b) I know that it will motivate her to help me sell as many books as we can. I don’t have a whole lot of details just yet, but I have been given some tasks. We’re starting with the Jefferson’s Road series. She’s asked me to redesign and upload new cover art for the books (which coincides with the interior redesign I’ve been doing anyway for the print books), and to secure some additional reviews for Patriots and Tyrants. So far, I’ve done what I can – as far as the cover art is concerned. I’m including the new covers below for you to “ooh” and “aah” over. Frankly, I think they look a lot better than my first attempts. I’m actually getting quite good at this, if I do say so myself. The second part involves asking any of you who’ve read Patriots and Tyrants to please, Please, PLEASE go to Amazon.com and leave me a review. It won’t take much: just a paragraph about what you thought of the book. You don’t have to give it all five stars – unless you think it deserves them, of course. I’m seriously interested in an honest take on the book. 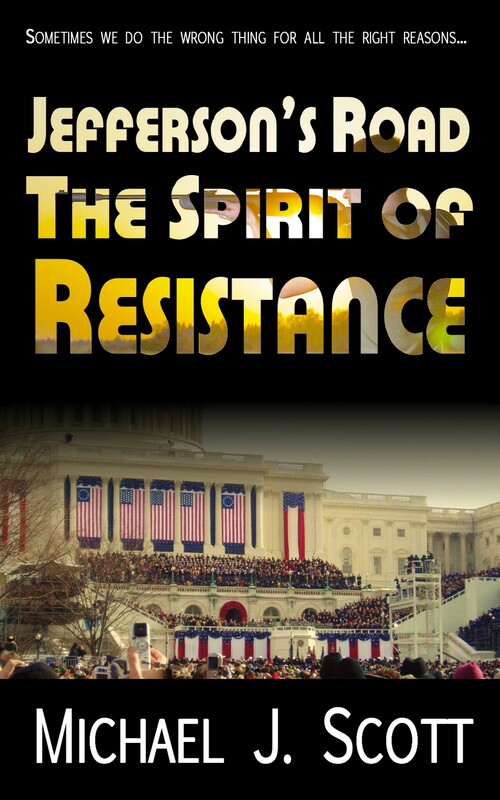 I’d like to get as many reviews for Patriots and Tyrants as I have for The Spirit of Resistance. That being said, here are the covers (and I’d love your feedback on these, too, if you want to share it). Congratulations on your new promotional endeavor, Michael! I think your new covers are strong. I particularly like the way you’ve created a consistent “series” look for the books. To make them even stronger, I would suggest that you use a solid color for the series name and that you screen back the under lying image behind the individual book titles so that they pop more off the page. 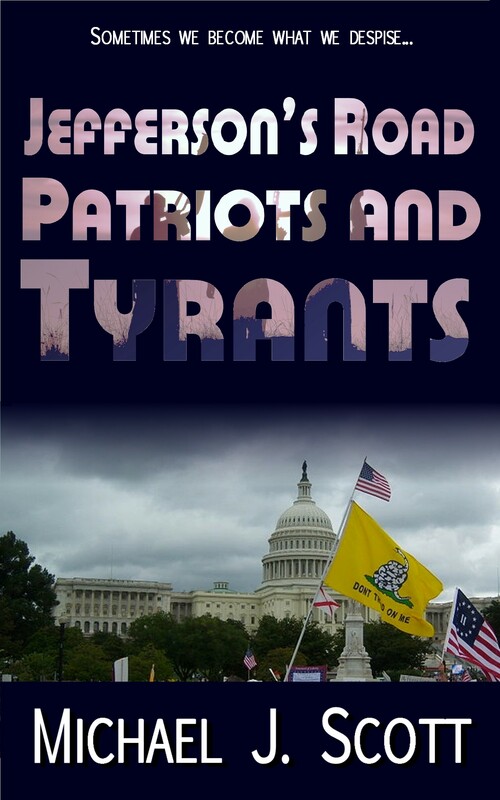 (I’m referring, in particular, to the last line in the “Patriots and Tyrants” title, as a great percentage of “Tyrants” seems lost against the background art. But you’re well on your way! Best of luck to you.